RKC Properties specializes in acquiring, retaining, and liquidating high-yield multi-family properties that are leased long-term to high quality tenants. For the past 30 years, investors seeking above average returns in the real estate market have relied on RKC Properties. Led by Richard Cervantes, the RKC team has been responsible for the renovation, development, and management of 100’s of properties. Their investment firm was in need of website and informational portal for current & future investors. The company’s uncanny ability for capitalizing on strategic investments and developing trends required to push beyond word-of-mouth marketing and wished to create an exceptional digital real estate investment website for their clients. 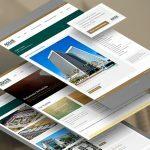 In addition they wanted to ensure the website was mobile and tablet friendly able for investors to access, learn and view their real estate investment firm online. We began our discovery process by researching the online presence of industry-leading real estate investment firms and realty-related services. 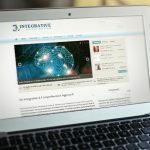 Our goal was direct; establish a credible way to showcase the companies brand and history and make sure the new website is not only a great experience for the user, but also for RKC Properties current investors who will be using the online investment resources to repeatedly come back to learn more about real-estate investing news, strategies and techniques. Utilizing a detailed user experience (UX) design process, we created a professional, trustworthy and fully responsive website (compatible with ipad, iphone, android os) which informs the user in the most efficient way. The site also functions as a news portal for RKC properties to send out updates and press releases for their investors. We then integrated an online investment resource filled with investment goodies to provide investors with all the necessary tools to effectively grow their net worth. We completed the development process by creating a the RKC newsletter optin form and mail marketing strategy. Along with launching the website, we applied the finalized design elements to multiple pieces of collateral including Business Cards, Letterheads, Envelopes & various other Marketing Materials. All of which stayed congruent with communicating professionalism and security to their audience.